Their Royal Highnesses Crown Prince Alexander and Crown Princess Katherine accompanied by Mrs. Betty Roumeliotis, HRH Crown Princess Katherine’s sister, officially opened the traditional Easter Bazaar of handicrafts made by women refugees and children with special needs in BIG FASHION shopping center. Total revenue from the sale of the handicrafts is intended to help vulnerable groups. “It is a great pleasure to welcome you to the traditional Easter Bazaar and to thank the Management of BIG FASHION shopping center who enabled us to organize the Bazaar in this beautiful area. You will have the opportunity to see and enjoy the lovely handicrafts made by these creative women and their associations. Producing handicrafts, these ladies support their families in the most difficult times, and all proceeds from the bazaar will be used to support these women, their families and their associations. I wish everyone much success and thank you for your great support“, said HRH Crown Princess Katherine. “We are extremely pleased that this year we are a part of an event with such a noble goal. In less than a year, BIG FASHION distinguished itself as a center that cares about its visitors and which is always happy to support activities and manifestations with the aim of improving our environment and positive changes. 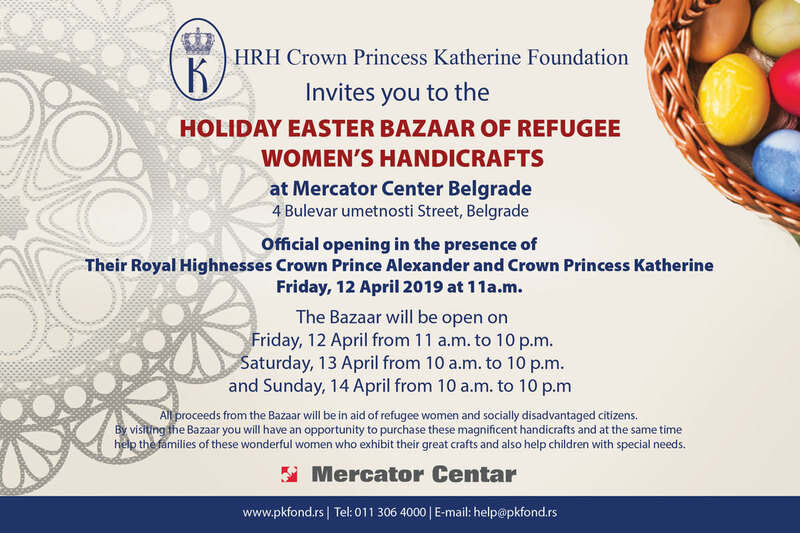 We would like to express our gratitude to Crown Princess Katherine’s Foundation who believed in us and decided to organize the traditional Easter bazaar here”, said BIG FASHION Center’s representatives. 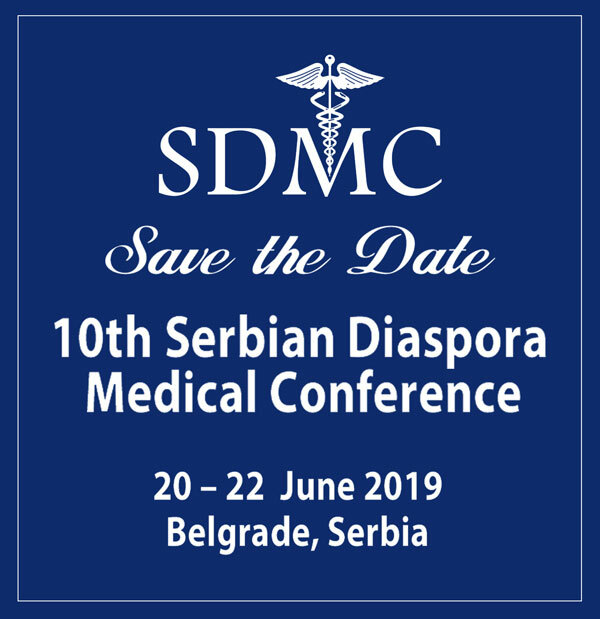 HRH Crown Princess Katherine also emphasized that she is very proud of work of her Foundation which brought over 2 million euros in new medical equipment and medical supplies for the medical institutions across Serbia only from the beginning of this year. Their Royal Highnesses invite all the citizens to come and visit the handicraft bazaar and buy gifts that will delight their loved ones and help these hardworking and devoted women and children who exhibit at the Bazaar. The Easter Bazaar will be open on Friday March 23rd from 11:00 am to 10:00 pm, as well as Saturday March 24th from 10:00 am to 10:00 pm.